First Floor 1371 sq. ft.
Width 49 ft. 10 in. Depth 48 ft. 5 in. 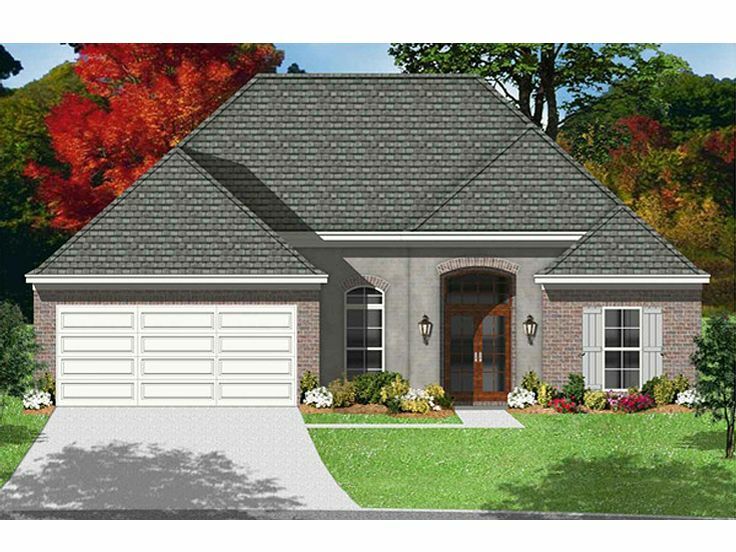 European-style details grace the exterior of this small ranch house plan giving it plenty of curb appeal for any neighborhood. 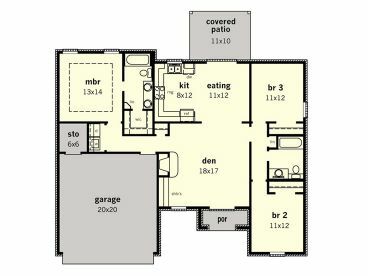 The floor plan features three bedrooms and two baths in a split-bedroom layout affording a measure of privacy to Mom and Dad. Take a look at your master bedroom and notice the decorative raised ceiling, private bath and walk-in closet. 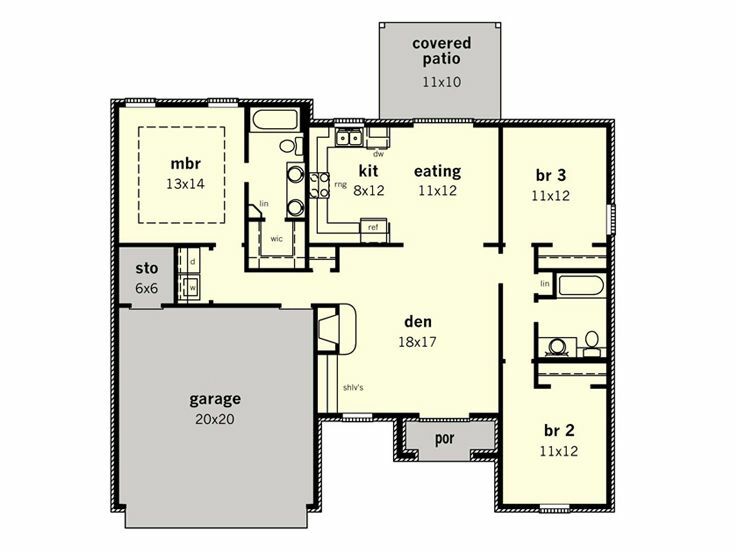 The 2-car garage with storage space shields the master bedroom from street noise, and the laundry closet is situated nearby for convenience. Across the home, the children’s bedrooms offer ample closet space and share a hall bath. At the heart of the home, the common gathering areas come together creating a free-flowing floor plan that promotes conversation and family time well-spent. You’ll love the fireplace, built-ins and 12’ ceiling enhancing the den/great room as well as the thoughtful arrangement of the step-saver kitchen and eating area. Don’t miss the rear covered patio, ideal for entertaining and relaxing. Perfect for young families, this affordable European home plan makes a practical and stylish starter home!